Yep, that is right! If you saw yesterdays post, then you saw Bentley and I were loving our slices of watermelon. But when you have a whole watermelon and only two people + a dog, there is only so much watermelon you can have! 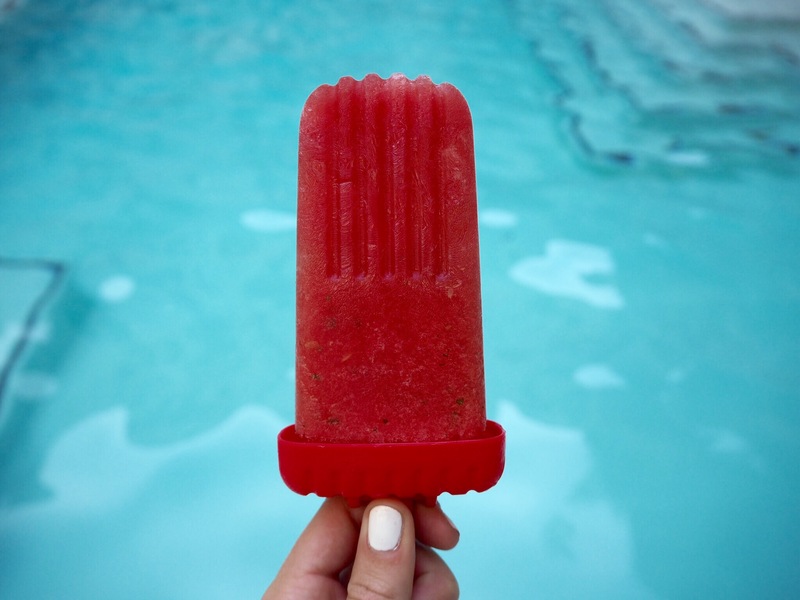 So when deciding what to do with the rest, making these boozy watermelon inspired popsicles were at the top of my list. 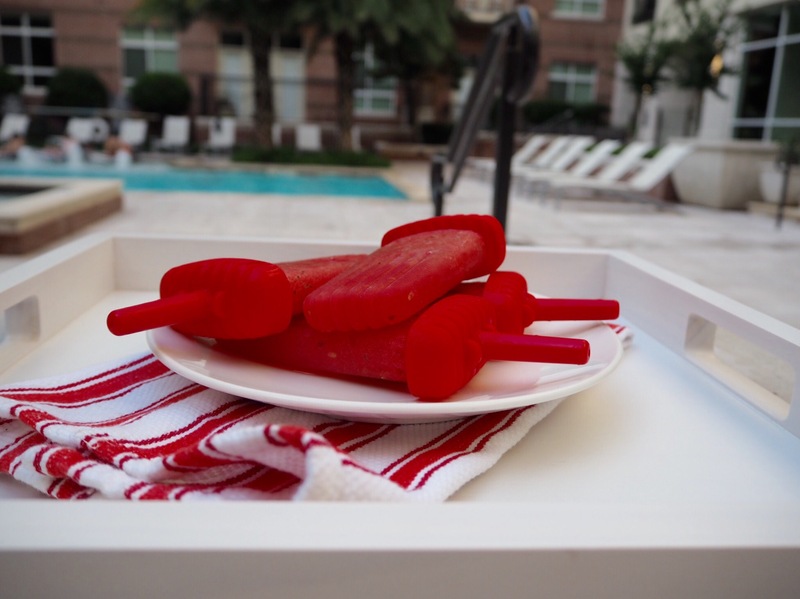 I love the idea of the popsicles because they are so much fun and made me feel like a little kid again, sitting by the pool, having a cold popsicle on a hot Texas day. 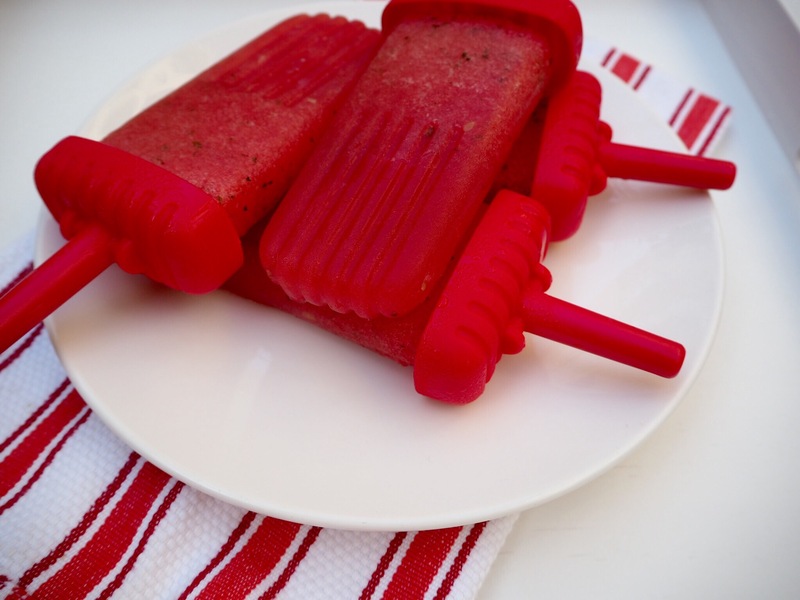 These popsicles are surprisingly strong and naturally sweet too! 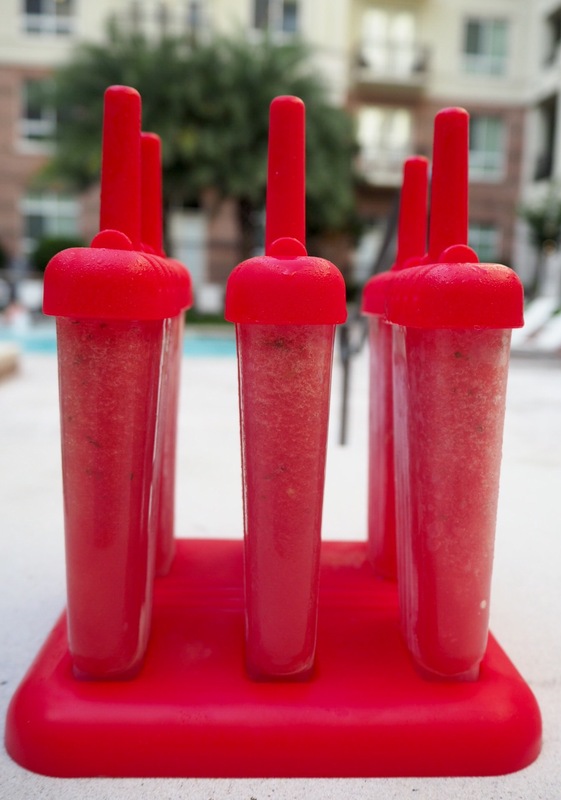 So if you’re having a big get together this weekend for the 4th, then these popsicles would be such a fun addition! I swear, they will be a huge hit! Place all ingredients into a blender and blend until it makes a slush-like consistency. Pour mixture into Ice Pop Molds until completely full. Place tops on Ice Pop Molds and place in freezer. Freeze for 8 hours or until completely frozen. Two Skinny Margaritas coming right up!!! Happy Cinco de Mayo Guys! If there is one thing I love, it’s a good margarita. But you know me, if I am having a margarita, you know it’s going to be a skinny one! As much as I love a traditional margarita, the sugar in it is just not worth it to me. So what makes this margarita skinny? There is basically no added sugar, nor fake sugar. It has a higher grade tequila, which is indeed better for you. I substitute triple sec for 1/2 of an orange, and I do not put salt around the rim! If you’re not making margs at home and are eating out instead, make sure to check out one of my original posts on How To Eat Healthy at Mexican Food Restaurants! Then fill the shaker with tequila, water, juice of limes, orange and maple syrup. The shake it up! Fill the margarita glass with desired amount of ice. Pour margarita over ice & serve!